Update: Sorry guys, a lot of the images aren’t showing up anymore because I had just linked them in from websites, so that’s why there are a quite a few corrupted images! Shoes always get first mention because I love with them. The three shoes on my wish-list are all Windsor Smith shoes (surprise, surprise,) and I am hoping to get at least two pairs before going overseas (I am so sad that they don’t have Windsor Smith in Hong Kong… to my knowledge). If I could buy one item out of this whole blog post, it would most definitely be these! As soon as I saw Windsor Smith preview them I knew I had to get them! I can just imagine stomping around Cardiff in these through the winter months. Love! Love! LOVE! Again, from Windsor Smith, I really love this casual look. I don’t really have any casual shoes like this apart from perhaps my Converse sneakers, but this has a casual yet polished look at the same time, while Converse doesn’t have that same flexibility I don’t think. This Birkenstock-esque style was something that really had to grow on me. I was definitely not a fan when they first came out, but after seeing quite a lot of people wearing them and making them really work, I think they would be a great addition for some foot comfort that aren’t jandals ( i.e. flip-flops, or thongs if you’re not from NZ). Really love this simple pattern from Karen Walker‘s Utopia Collection. There are also really awesome t-shirts and dresses that caught my eye. 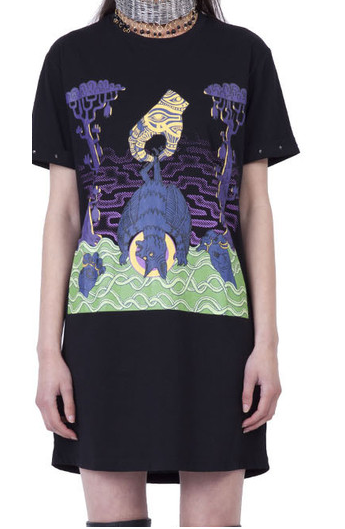 This t-shirt dress by Stolen Girlfriends Club is inspired by tarot cards and they have some other really awesome prints, but this one is my fave. I guess I’m really loving prints at the moment, because I adore this printed tank by Keepsake which I found on Fashion Bunker. I don’t own any printed trousers, so I’ve been trying to find some that I like, and these ones from Motel are super cool. They’ve styled it with casual shoes like the Windsor Smith SLIDE, so this could be a perfect combo. 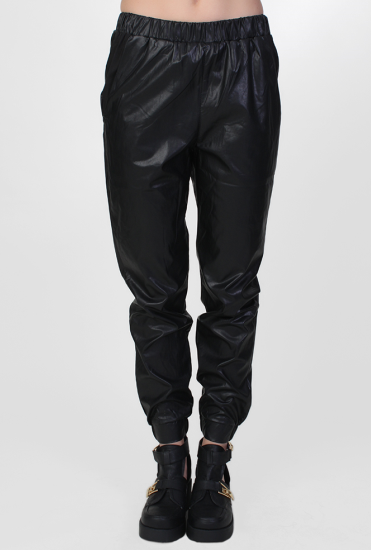 Quite liking these pants from Goldie at the moment. I’m not sure whether I’d style them with chunky boots, I’d probably style them with Windsor Smith SLIDE shoes or some Nike’s for a more sporty/luxe look. This sequinned clutch by House of Cards is super fun and vibrant. I think it would be a great way to brighten up a monochrome or really simple outfit. Plus, I’m loving the cactus. Another super shiny clutch, this one by Poppy Lissiman. The evil eye has been quite on-trend lately, particularly in Kenzo’s collection last season. Really love the metallic mixed with the glitter! And that’s about it for my wish-list. Hopefully I’ll be able to buy a few of these if they’re still in-stock before I go. First priority are the shoes though! Would love to hear about what you’re loving or hoping to buy this season. Let me know in the comments below.